Most businesses tend to experience a substantial learning curve when entering into the world of government contracting. 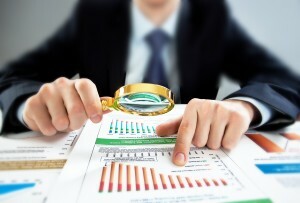 This can sometimes result in a critical need for professional DCAA assistance regarding the related auditing standards. Periodic reviews by the DCAA are simply part of the package. And, every company must meet this agency’s very specific procedures and protocols. With the DCAA, there is not just one single audit conducted at the end of the fiscal year. In fact, there are several different DCAA audits that take place sporadically over the course of the entire contract. This critical need to adapt and conform usually means that businesses must redefine their internal processes to some degree if they want to remain compliant. Progress Billing Audits: For Fixed Price Contracts, these Progress Billing Audits occur in the instant that the contractor submits a process payment. The auditing system looks to see if the payment request fits the needs of the project. In cases where a project has a very lengthy schedule, but also has a substantial front-end investment in materials and labor, the business may process rather large payments in the beginning to cover these operating costs. Process Billing Audits ensure that these payments are justified. Cost Plus and T&M Contract Billing Audits: During these audits, the DCAA thoroughly reviews the included cost records associated with a process payment. If the billing does not have the proper documentation attached, then the government contractor does not get paid. These Billing Audits are perhaps the single most important reason why many government contractors hire professional DCAA assistance to oversee their internal bookkeeping procedures. Incurred Cost Audits (or “Rate” Audits): In cases where the government contractor bills the DCAA at provisional rates, a Rate Audit takes place once the contract is complete. This statement is particularly true for Fixed Price Contracts where the business bills the DCAA through progress payments over an extended time frame or for contracts that occur over more than one fiscal year. These are just the very basic definitions of each type of general DCAA audit. Each audit comes with a long list of “fine print” regulations that are critical to the government contractor. If the business misses even one of these related auditing standards, the financial and legal ramifications can be catastrophic. For more information on professional DCAA assistance and bookkeeping, contact Techeon Business Solutions today. Designed by Investment You | © 2016 Techeon Inc., All Rights Reserved.